Welcome to the third installment of our Meet the Studio Series. This is our "bench". It looks like utter chaos but believe it or not-, I know where everything is (sort of). 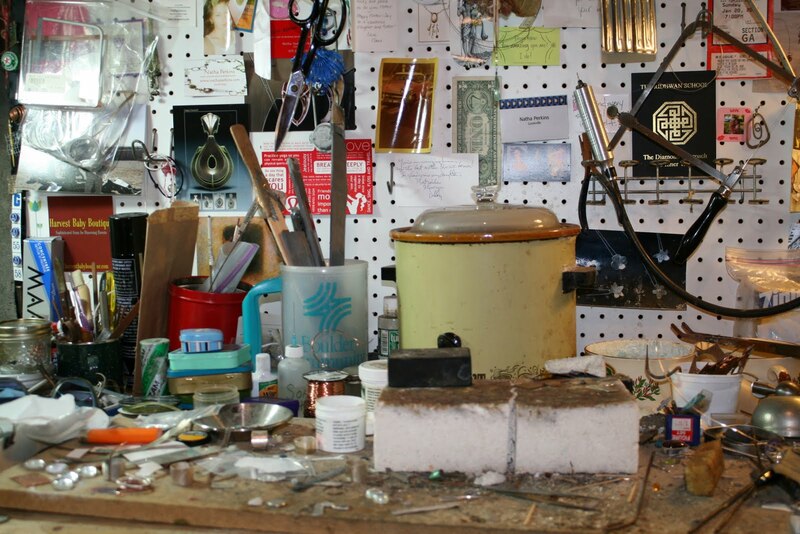 Right behind the soldering block, you can see our "pickle pot". We use a very high tech and expensive piece of equipment to clean our metal post-fire. It's called a crock pot. This particular crock pot was purchased at a thrift store about 7 years ago for about $5. It's had a hard life boiling acid (well technically, you aren't supposed to boil the acid but sometimes I get distracted...) Anyway, it's not pretty but our little pickle pot has done a good job for us all these years and we love it. When we put a flame to metal it causes a chemical reaction called oxidation. Oxidation causes a skin on the metal that we refer to as "fire scale". 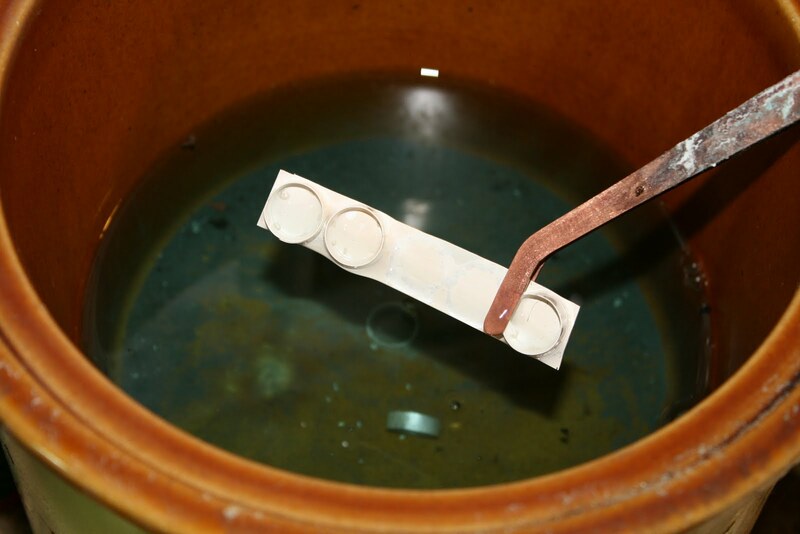 By soaking the metal in heated acid, we remove a good bit of the fire scale. 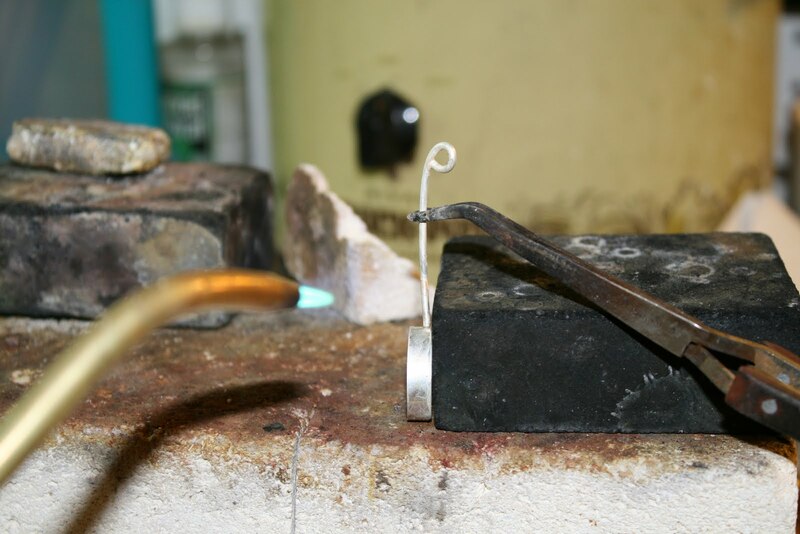 We need the fire scale gone for two reasons- we need the metal clean in order to solder again and we also need it clean so that we can polish it and get the lovely finish that one expects from a lovely piece of jewelry. After the metal soaks in the pickle for 15 minutes or so, we neutralize it by dipping it in a baking soda solution. 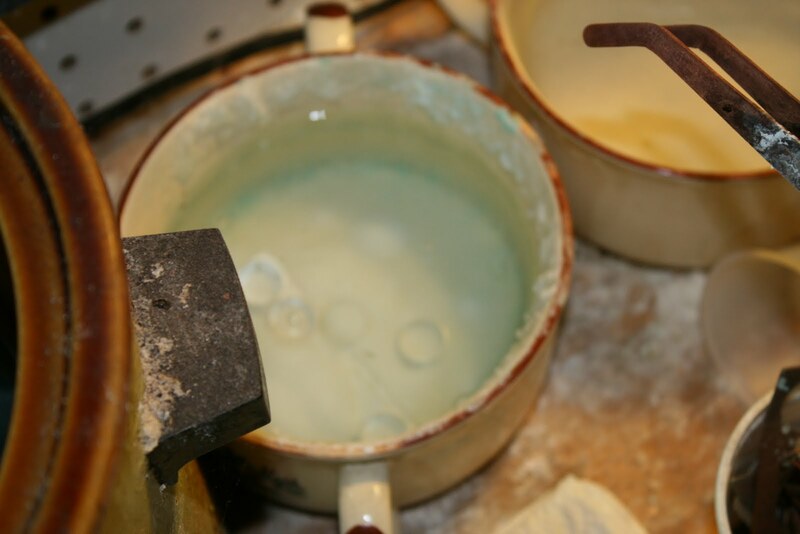 The very first teacher I had for metal smithing never told me about acid neutralization, so for the first year of working with metal I kept getting tiny holes in my pants from dripping acid on them! That's one of the interesting things about this craft, there are a million different ways to do one thing and the technique you are taught sometimes makes the difference between easy or difficult mastery of said technique.